This is the first time I have taken my pen (keyboard) to write to you. How are you? I was scared you had a chronic case of jaundice because you have always looked so …you know…Y’ello. I understood what the obsession with the color all meant when I read on this weird thing called ‘branding’. I know. I am as surprised as you are reading this. Yes. The last time we spoke, someone had told me I would be adding a ‘6’ in front of all my contact phone numbers. It took me a while to understand. Truth be told, I still don’t. But, given that you cover a huge portion of the Cradle of Life, you must definitely know what you are doing. How are the kids? I hear you incubate now. I saw a host of young people playing with their phones a while ago. Thousands of them. Literally. Something about ‪#‎MTNChallenge‬ or whatever. That you had said you would fund their ideas. I love how you prod brains and select viable biz ideas to pursue. I was just wandering eh…what do you do with the other ideas ? The other not-so-viable ones that DON’T get funded? Do you fund them secretly or something? Because I bet Cameroonian minds have gems when it comes to being creative. Especially with this thing called ‘3G’. A cousin came and made noise about it. Said she was the Next Tel or something. You know how paranoid I am sometimes. I notice the wave of feminism had taken over the family. That is great. I hope KT is safe and sound. Given his ability to communicate (or not?) using Google Hangouts, I suppose he is okay. Extend my +regards. I saw this #21days thing. Hum. Talk about ‪#‎CSR‬! You know your thing oh! So, you build homes in 21 days? Wow. How I wish you could apply that speed to your customer service. Wait. I take that back. Don’t. Make it 21 SECONDS not DAYS. Now, let me not waste your credit. That lady is always waiting for the reason why I call to tell me “Votre credit est insuffisant…” See eh. I don’t know whether you trained her in 21days too but she’s damn good. DO you want to text a friend and have no credit? TEXT I BEG YAH to 75667. I get that. You were upset. Also, there were times when you would just sit and send me credit. I was so glad! I would call everyone. Just like that! That was amazing…in the beginning. What I did not realize was this: you had plans to take it all back! Why did you do this? When we started dating, I did not say our relationship was exclusive. You need to be able to let go. I lost my phone. I had to change my sim card. You need to understand. You’re right though. The problem is me. Not you. Because of that, I understood and forgave you. I even decided to buy your WIMAX key. I thought it could serve as a truce. Chai. That key was sweet oh. White…sleek…cute…tempting the money out of my wallet. FCFA20000 I paid. Guess what? THE VERY NEXT DAY YOU SLASHED THE PRICE BY HALF! My love, why? WHY? Why would you do that to me? That’s okay. I know relationships have ups and downs. I forgive you still. After all, your minions who answer the phone are very courteous and polite. I even have crush on one of the ladies. I lied. I have crush on all of them. So, like I said, I bought the key and you punished me for it. Then I forgave you. I then decided to make it up. I started purchasing airtime and surfing. Sometimes it would fail. Sometimes it would be awesome. My download speed never got to 1MB/S but, like I said, all relationships go through troubles. I still love you my yellow tiger.Four days ago , something else happened. I had switched to the 12am-6am tariff because of brokenness and lack of money. Let me pause a little and admit this: you mean a lot to me and many Cameroonians. We can now use Whatsapp WITHOUT THE INTERNET! I mean, come on, was it not thanks to you that I could send an sms with: ? Just that. A single question mark. Before you graced us with ‪#‎MTNUnlimitext‬ , an SMS cost 50frs! Can you imagine? TWO PUFFPUFFS! (Or ten if you prefer quantity to quality). But, tell me eh…is that thing really unlimited? Because, I don’t think so oh. I could be an idiot here and say I have proof. But who am I kidding? Who owns the servers? I just think the chatteur of Molyko deserves to know that if he sends the same 150 character message to 300 potential chicks, he might not be able to reply. Anyway, back to the reason why we are here: four days ago, I precharged my mobile. FCFA3000. I had borrowed from you and, ‪#‎AlreadyWeKnow‬, you don’t joke with your debtors. You left me FCFA2764. Then, I subscribed to ‪#‎MTN‬(Almost)Unlimitxt. Fab sang, na e you take am. I then went home and waited for the darkest hour. I plugged my sleek 20 nkolo WiMAX key. 27 DB. Not bad. I opened the login page. ( Kudos to your designers eh. The simplicity is elegant). I logged in and renewed my MTN NITE successfully. Then all network hell was let lose. 1. My key disconnected. Alone. ‪#‎NaWitch‬? 2. The transaction went through. I checked on my phone and I have 264 frs left. 3. I have not been able to connect. Green light doesn’t change to yellow blinking one. 4. Oh, did I mention the validity of the bundle is 7 days from activation? So, my love, I want to beg for forgiveness. Maybe you heard I went on a date with Next tel‬. You have ears( literally) everywhere. I apologize. Thine 3G shant be doubted, your royal networkness. Please eh, reconnect my key. I want to browse. I have to stalk research.What do you want from me? How can we make this right? I know you’re Everywhere I go, so, let’s talk soon and sort this out. Or do I prepare the divorce papers? P.S: Sometimes messages don’t go through. That should not surprise you anyway.. And I have not been able to connect to the internet in a while. #AlreadyWeKnow. So, I may be slow to respond. Forgive me my tiger. 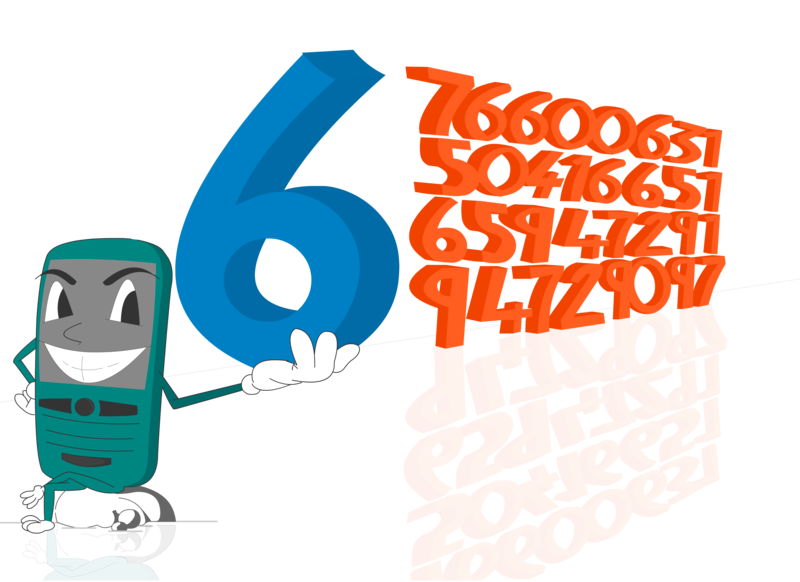 Telephone Numbers In Cameroon move from 8 to 9 digits! 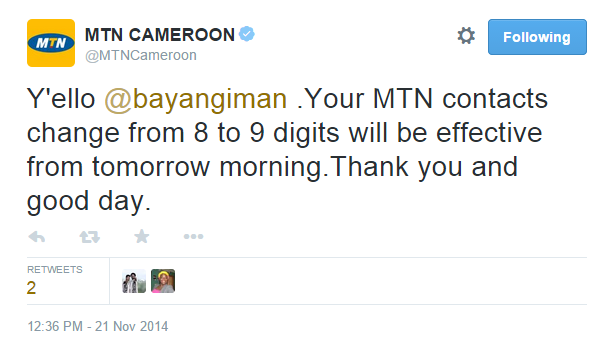 Today, the dialing plan in Cameroon moves from 8 to 9 digits. You may have wondered on the implications of this switch but before I unleash my chaos theories, I scoured the web for a list of 10 applications you could use to perform the switch. +237 74231654 ————} +237 674231654. For CAMTEL well…let me try to explain. The numbers change according to your region. There is a ‘2’ to be added in front of all the numbers BUT depending on your region ‘something’ changes. The developers I spoke to said building the app could be cumbersome because :”the pattern from fixed phone to Citiphone is not ‘fixed’ “. Or maybe the code is just well protected. Let’s see who fixes this. Well, I already switched mine…so…I get to modify my numbers when I want to make calls. Interestingly, my text messages go with no problem. I gladly accepted for my old Blackberry 8520 to be used as test subject by my buddies at Wasamundi. The app is called #Wasafix. It took about 20 minutes to convert my 1048 contacts. Looking at the news online today, I noticed there were a couple of apps produced for that particular purpose. I haven’t guinea pigged them all but I suggest you try them out and send me your reviews. You lose all your contacts and have to explain yourself whenever someone calls you. Especially your better half who would never understand. You argue, fight, breakup and then you live an utterly miserable life because you did not identify who called. JK. Take your time and read reviews. Let the early adopters test the apps first. Don’t be a victim. I would recommend #Wasafix. Used it. I don’t have many Camtel contacts so I wasn’t bothered by the fact that I could not convert Camtel numbers. #Wasafix is the only app as at the moment this article is being posted that supports: Blackberry, Android, J2Me and iOS. I repeat USE #WASAFIX. I used it and it works. 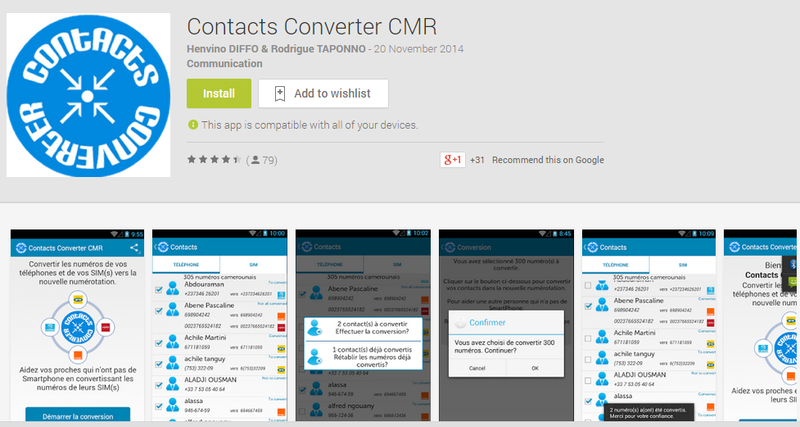 Or, if you can add a digit in front of your 500+ contacts that’s fine too. 2. NumberUpdater Works on Android and has a web interface according to an article I read today on 237Online. Oh…did I say 10? Yeah…sorry I meant 5. I think I have issues with math. In the meantime, you can read a better article concerning the switch and the ramifications on the total number of subscribers plus the TRA ( Telecommunications Regulation Agency) here. Have great evening and happy conversion!